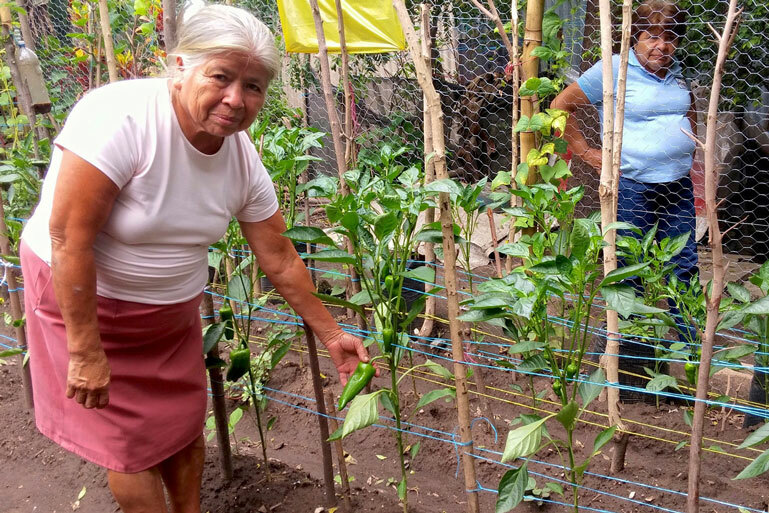 This year, funds for the Lenten Project will support the empowerment of women and youth through organic agricultural training, establishing micro-loan groups, and supporting youth training in dance, theater, band, and leadership. Our goal is $9,000. Can you help our Sister Parish grow? Adoration takes place every weekday, Monday-Friday, from 8:30-9:30 a.m., and Tuesdays and Thursdays from 4-5 p.m. in the Chapel. The Reservation Chapel is located to the right of the doors before entering the Chapel. Feel free to come by and spend time with Jesus in the Reservation Chapel any time the building is open. Weekend Masses are 5 p.m. on Saturday (Vigil), and 9 a.m., 11 a.m., and 5 p.m. on Sunday. 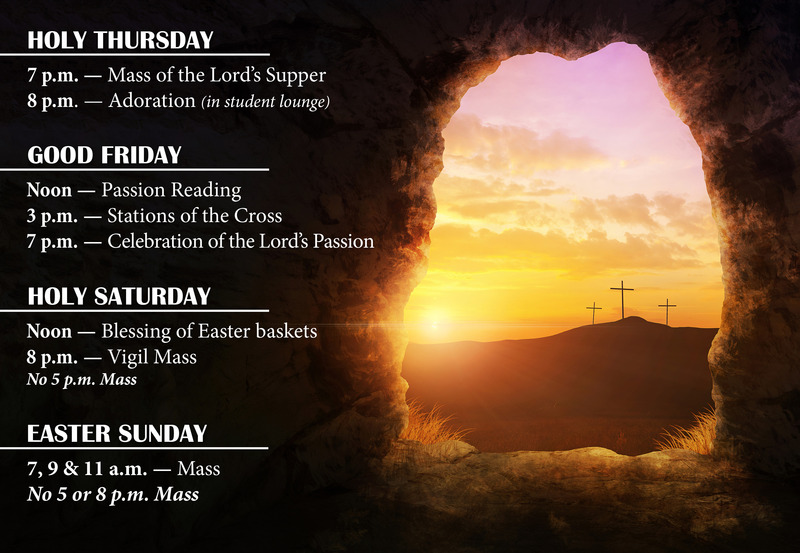 Student Mass is at 8 p.m. on Sundays with the exception of March 24. Daily Mass is Monday through Friday at Noon. 7 p.m.: Mass of the Lord’s Supper at 7 p.m.
Reconciliation is offered on Tuesdays and Saturdays from 4-4:30 p.m. in the Chapel or by appointment. There will be a Lenten Penance Service on Tuesday, April 2 from 7-9 p.m. in the Chapel. Join us for this year’s Lenten Day of Reflection on Saturday, March 9 from 9 a.m. to 3 p.m. Sr. Sharon Zayac, O.P., from the Dominican Sisters of Springfield, Illinois, will be joining us to talk about Hearing Creation’s Cry for Conversion: A Lenten Day of Reflection. The day will include two presentations, personal reflection time, and large and small group discussions. Lunch is provided. Consider joining a resident small group this Lent. It’s a wonderful way to delve more deeply into Scripture, share your faith, and build relationships with others in the parish. Email [email protected] if interested. College Student Small Group Bible Studies: We have several Bible studies that can fit your schedule! To join, contact Karianne at [email protected]. All college and graduate students are invited to Ephesians 3 (E3) every Wednesday at 9 p.m. in the Multipurpose Room. Come for fellowship, prayer, talks, and praise and worship. Contact [email protected] with questions. This retreat is open to college and graduate/professional students. During the week of April 7-11, you’ll meet with a spiritual director and commit to a half hour of prayer each day. The cost is $15, but financial assistance is available. Register here. Newman Volunteer Corps (NVC) helps parishioners grow in compassion through education, action, reflection, and prayer on social justice concerns. There are several monthly ministries that NVC facilitates. Contact [email protected] if interested or with questions. 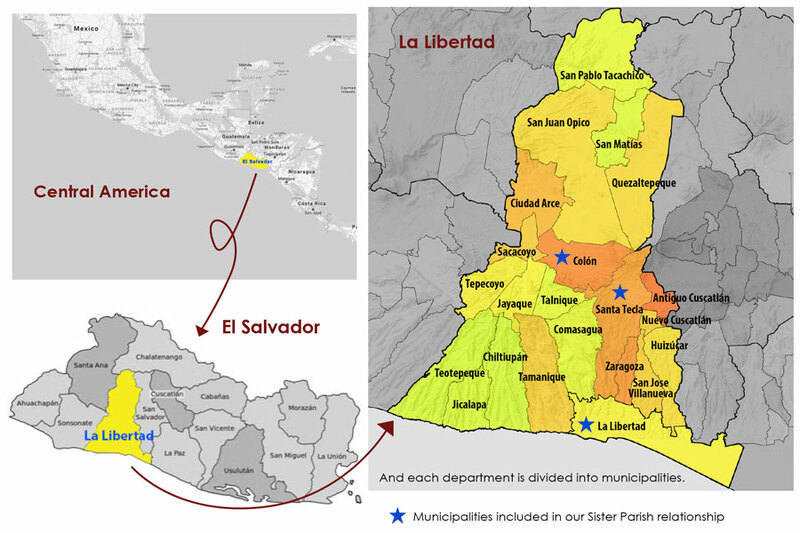 In 2013, the Newman Center entered in a sistering relationship with La Inmaculada Concepción Parish and communities in La Libertad, El Salvador. 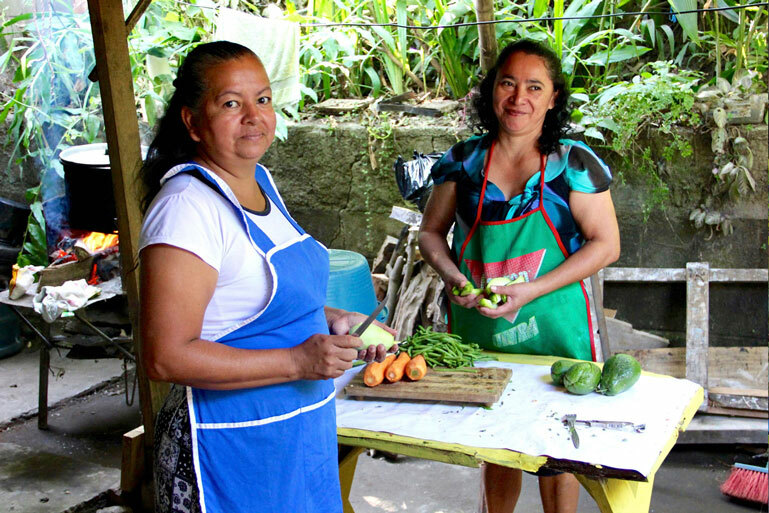 Through this relationship, both communities commit to supporting and nurturing friendship, spiritual companionship, visits, and advocating sustainable solutions to poverty. 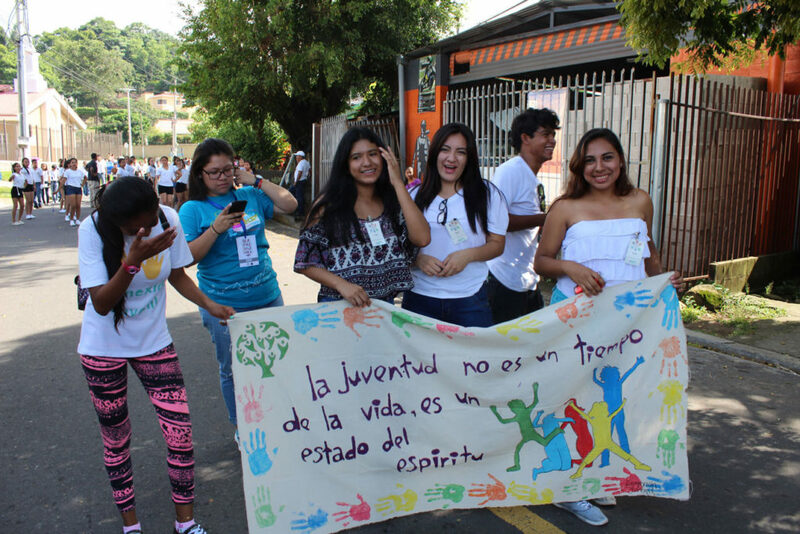 This year, funds collected will support both the empowerment of women and youth. Our goal is $9,000. All young vocalists and instrumentalists in fourth grade or older are invited to join our Youth Choir for the 11 a.m. Easter Mass. 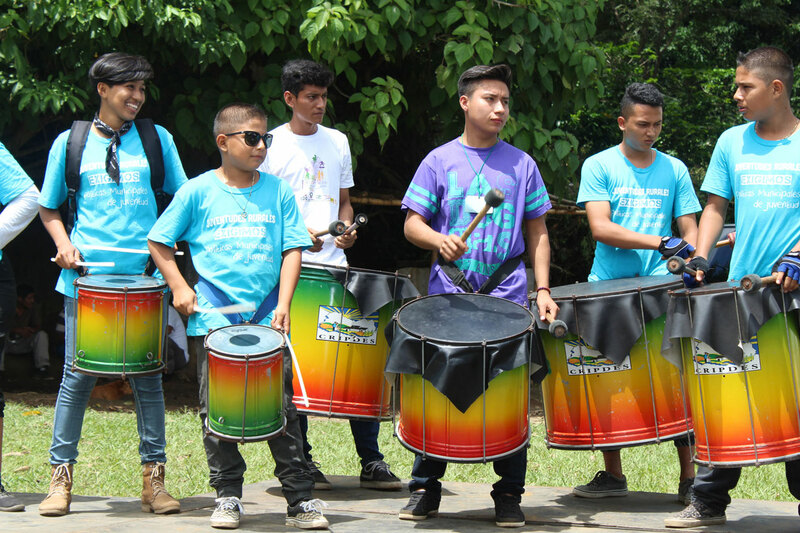 Instrumentalists must have at least one year of experience with their instrument. Rehearsals are in March and April; the first rehearsal is March 10. Please contact Kelley at [email protected] if you’re interested or with questions. Delicious food and good friends build a happy community. 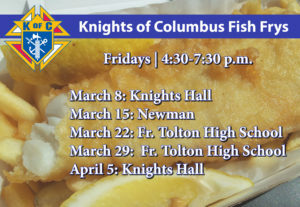 At Newman, the cost is $10 for adults, $5 for children, and $8 for students.